Trainer Greg Eurell is keen to put O’Tauto on a path towards the Australian Guineas after the improving gelding raced to a hard-fought win at Flemington. Jockey Damien Oliver was forced to work overtime on $2.60 favourite O’Tauto who needed all of the Flemington straight to reel in his rivals in Saturday’s Furlong Bar Handicap for three-year-olds over 1400m. O’Tauto was urged along by Oliver early in the home straight but he kept rallying under the champion jockey and arrived in time to beat Blinder ($6.50) by a long head with Symphonette ($3.90) holding on for third, another short half-head away. “He made us sweat a bit,” Eurell said. “He’s a lovely horse but he’s still so new and has still got so much to learn. “But he can certainly put in the big ones when he needs to. 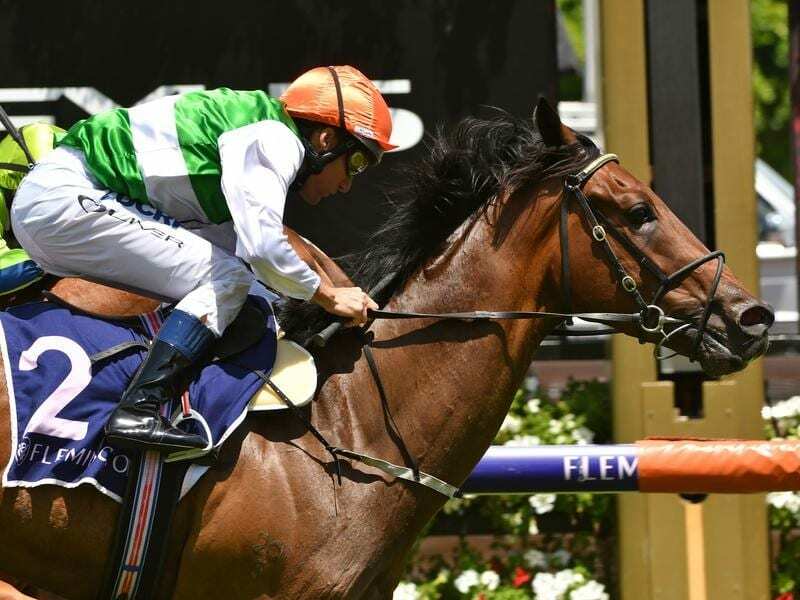 O’Tauto took his record to two wins and two seconds from four starts and Eurell said if the gelding keeps improving he hopes he will earn a crack at the Group One Australian Guineas (1600m) at Flemington in March. “I think he’s the real deal, this horse,” the trainer said.